There are three R’s! We focus a lot on recycle but reduce and reuse are also big parts of the sustainable equation. And those two bits really go hand in hand. 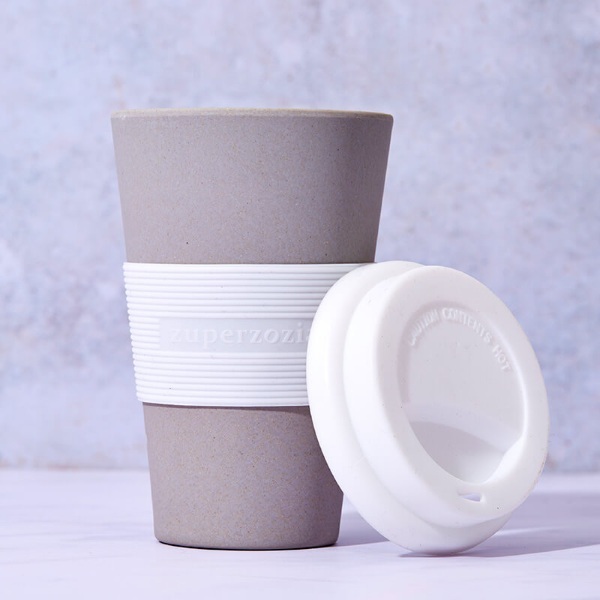 Make a small step in the right direction by skipping the disposable cups and check out the Bamboo Cruising Travel Mug, the reusable coffee mug made from biodegradable materials. This cup won’t last forever. I mean nothing does, right? All is temporary. This cup is even more temporary because when you’re done with it, since it’s made for 70-80% biodegradable materials, it will actually break down when you throw it out. Until then, it can be used in the microwave and dishwasher. Fits in cup holders and can hold your hot drinks. This cup is $14.